Saw these peeping out from the snow. There is hope yet! 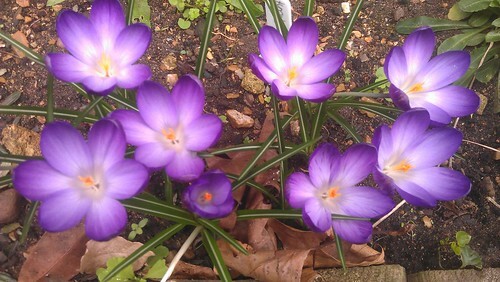 These crocuses are ones that I planted in 2012 (the yellowy ones – Crocus ‘Golden Bunch’) and 2011 (the purple ones – Crocus ‘Giant Ruby’) and whilst the yellowy ones have been leading the way up until the last few days, the purple ones have caught up. However, whilst they’re poised to bloom like last year, but they’re now covered with snow. Snow fell again yesterday whilst I was in London, seeing me return to a ‘good’ 3″ covering, and it’s snowing right now as I type. 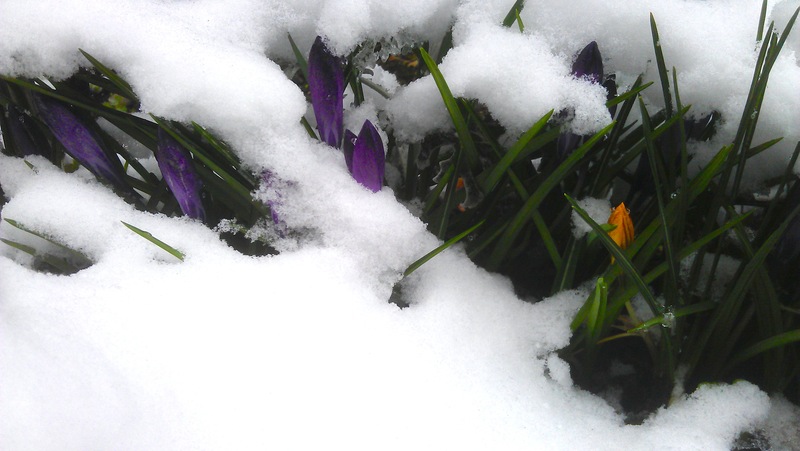 These were the same purple crocuses ‘Giant Ruby’ on 11th March 2012. A slight contrast.